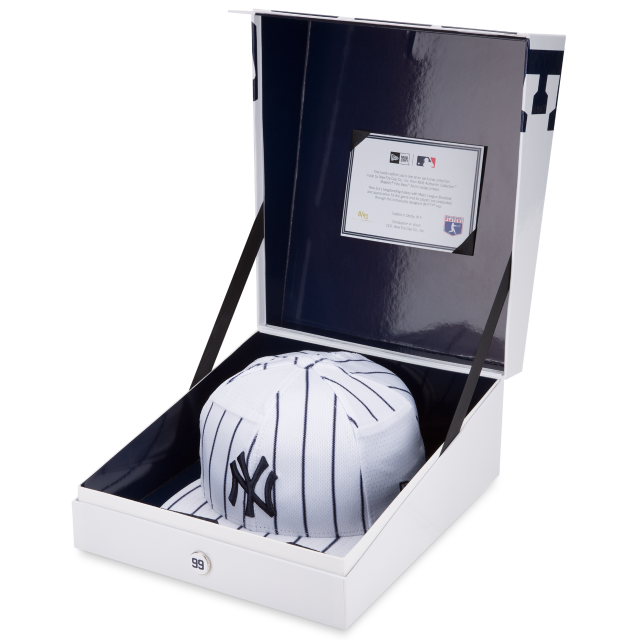 New Era and MLB have released a special series of hats in the Authentic Jersey Collection. The Collection features unique hats, every section of the cap was hand-cut from a singular jersey. The panels, button, visor, sweatband, snapback and player-specific interior taping were sewn together to create the final cap and individually numbered. The hats come with a one of a kind collectors box and letter of authenticity.